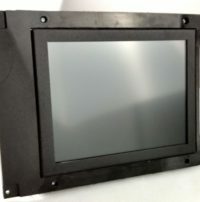 GE FANUC SERIES 18T (A02B – 0120- C131) or 16M ( A02B-0200-C050) LCD display and full cable kit. 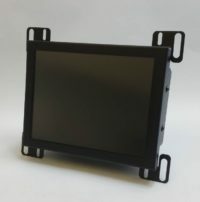 Monitech has developed a new LCD Replacemnt for Fanuc A02B-0120-C131. This new Monitor uses high bright LED backlights and comes with a 2 year warranty. Reduces downtime due to product`s Quick & Easy Install. The benefits of buying from Monitech are 1) the cost is a fraction of the OEM. 2) Our LCD monitors are current technology with a very long life expectancy; over 50 000 hours. 3) All power and video cables, as well as install guide is included. Click ADD TO CART to purchase this unit. Monitech works with many different suppliers to ensure that you receive a quality monitor, quickly, and for a fantastic price! The GE Mark IV is no exception. 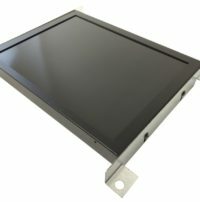 With customers from all over the world looking to upgrade their GE Mark IV monitors, we have perfected the design of our LCD monitor to suit your needs, whatever they may be! To request a quote for a GE Mark IV, please contact us. 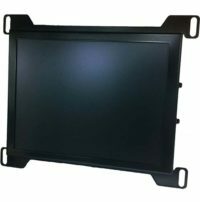 Light LCD series upgrade Kit for 14″ MON-4604 Nematron or GE, includes cables and warranty.